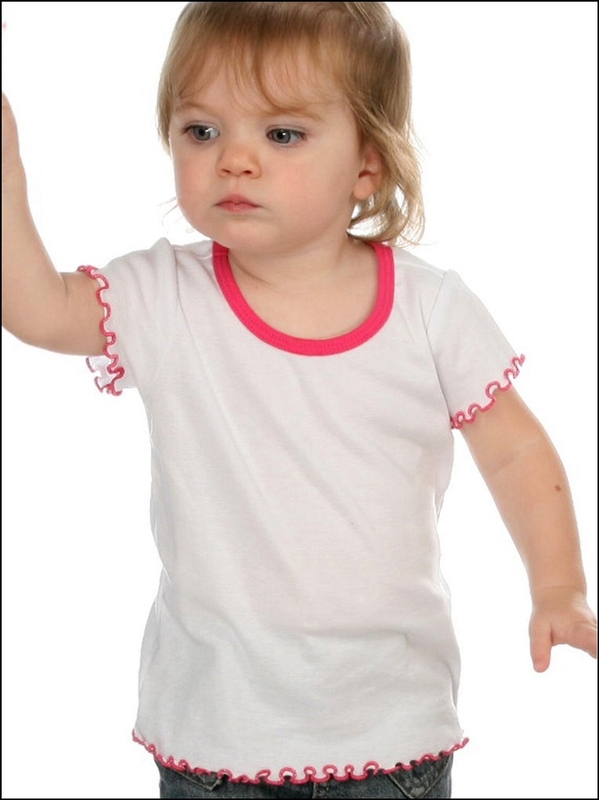 This cute top is made of super lightweight cotton-poly 1x1 rib and features adorable contrast lettuce edge details. 3/8" contrast neck binding, contrast merrow stitches at sleeve opening & bottom. Cotton-poly 1x1 rib 40/1, 60% cotton 40% polyester. 4.5 oz/sq yard. Q: Is the first color listed the shirt color? A: If you click on color options, there will be a color sample below the box.